From the Finder, you can open the Downloads folder by first clicking File → New Finder Window, or pressing the Command key+N. Then, click Downloads the left-hand pane. You can also access your downloads using the link on the Dock. In the lower right side of the dock, click Downloads. Your most recent downloads will spring out of the dock. Click on any icon to open that file. The Internet browser you use when downloading a file can determine where the file is saved. Most browsers save a file to a Downloads folder in your User profile folder on your computer. Tip: The fastest way to view your recent downloads in Chrome, Microsoft Edge, Internet Explorer, Firefox, and Opera, is to press Ctrl+J on your keyboard. After the shortcut key combination is pressed, a downloads tab or window (shown below) will appear. Tip: In the Internet browser options or settings, you can find where your download files are saved. You can then change that download location or leave it as it is. 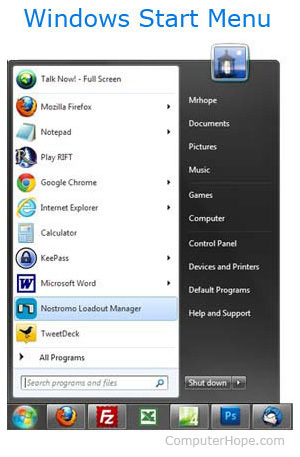 To access your downloads outside the browser, click the press the Windows key, type Downloads, and then press Enter. In some cases, when you download a file, you may be presented with a pop-up dialog box asking if you want to Save the file or Run the file. If you select the Save option you can specify where to save the file including the Desktop, Documents folder, or any other location. 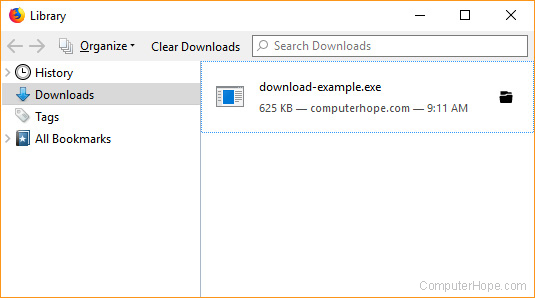 You can also find your Downloads folder in any File Explorer window.Open a new explorer window by pressing Windows key+E. 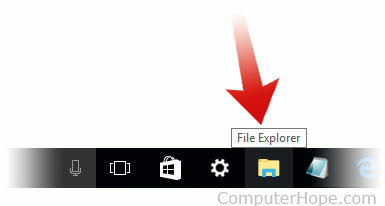 Or, as pictured below, you can click the File Explorer icon on your Taskbar. 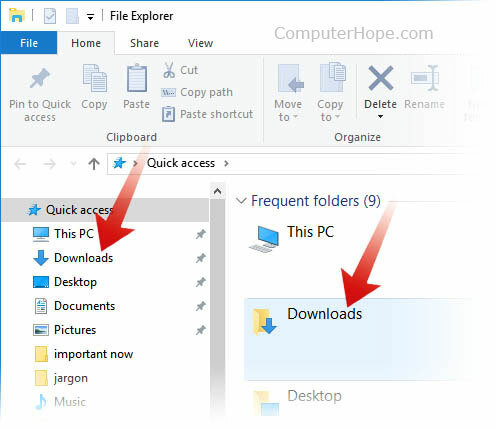 In your File Explorer window, you can navigate to your Downloads folder using the shortcut in the left pane or by clicking on Downloads under other headings such as Frequent Folders. Bonus Tip: Create a shortcut to your downloads folder to quickly get access to it from the Desktop. The content of this article brought to you by computerhope.com. Free computer help since 1998.